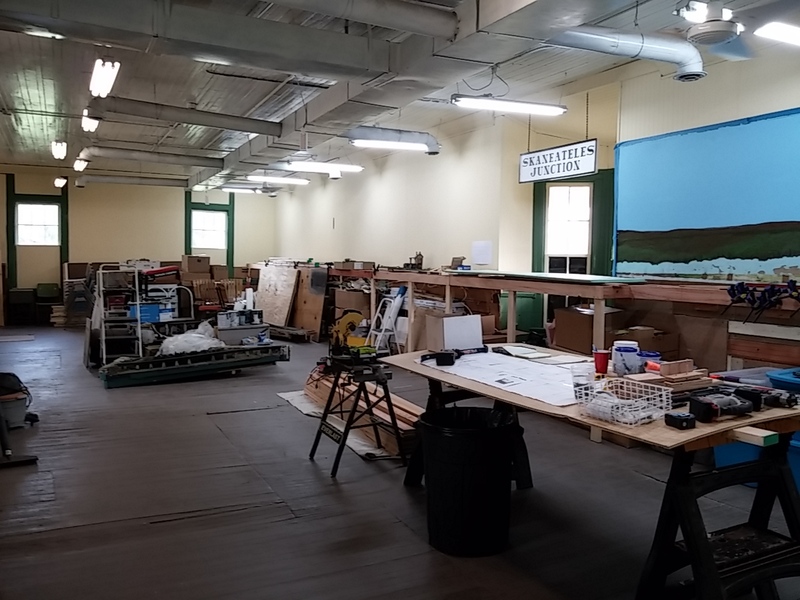 Central New York Model Railroad Club and Historical Society, Inc.: We're Making Progress! 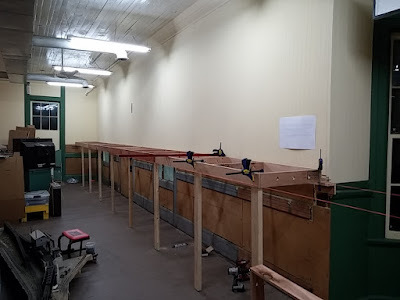 Benchwork along the trackside wall of the station has progressed quickly. 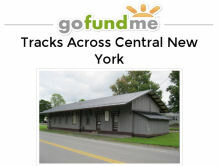 The area will be home to Rochester and Goodman Yard, which measures an impressive 46 1/2 feet from its eastern yard limits to the end of the western drill track.